Actively exploring his storytelling methods within his own mind, Moebius draws himself encountering his favorite characters in an expansive desert setting. He interacts with Arzak, Blueberry, Stel, Atan, and others–and he also meets a younger version of himself! 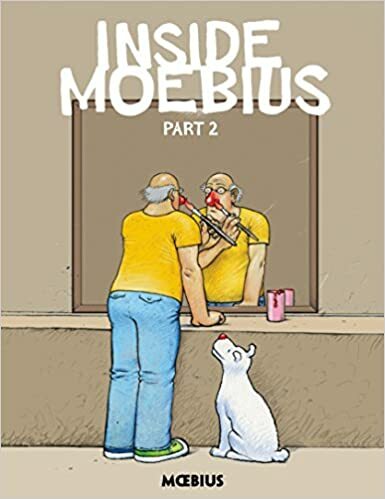 A self-reflective six-part study, Inside Moebius Part 2 collects the two middle chapters in this hilariously unique exploration of a creator meeting his own creations and over-analyzing his thought processes as he creates new comics.